Ex 14.2, 1 The blood groups of 30 students of Class VIII are recoded as follows: A, B, O, O, AB, O, A, O, B, A, O, B, A, O, O, A, AB, O, A, A, O, O, AB, B, A, O, B, A, B, O. Represent this data in the form of a frequency distribution table. 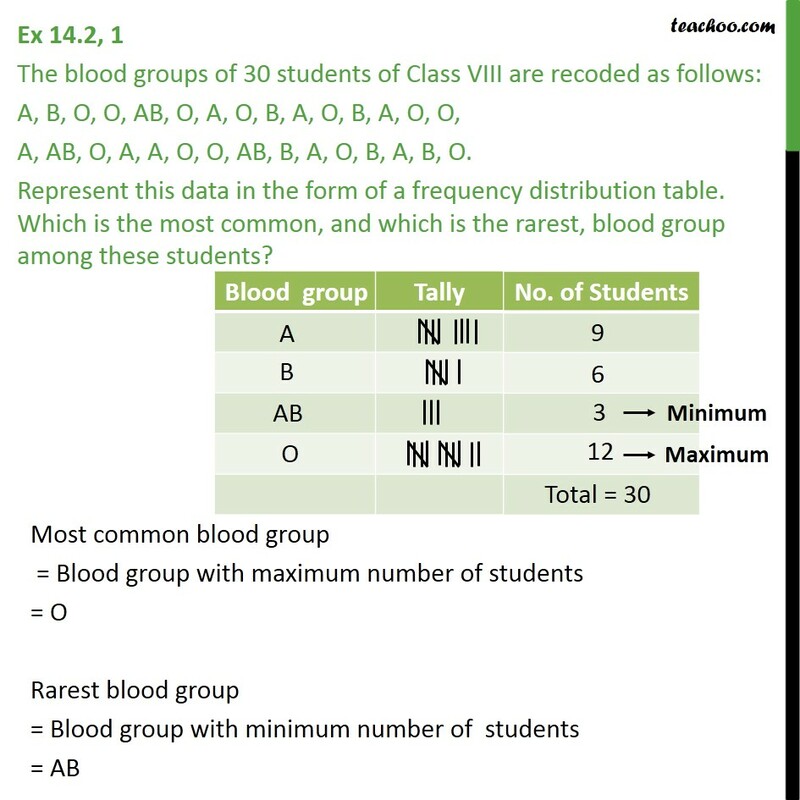 Which is the most common, and which is the rarest, blood group among these students?